Ships could mitigate some vulnerability by maintaining radio silence to deny adversary DF capabilities. 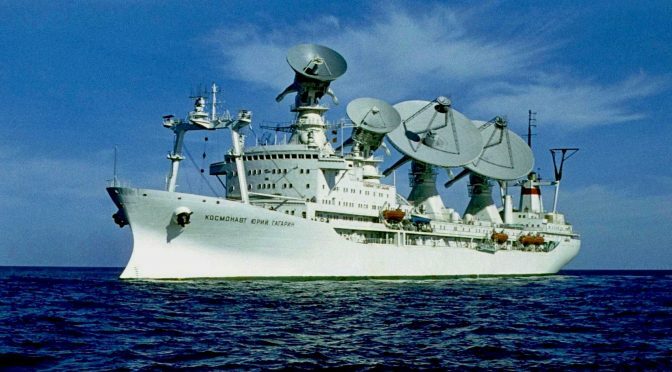 A complementary tactic was the adoption of Fleet broadcasts, with headquarters transmitting to all units on a fixed schedule (analogous to today’s Global Broadcast System).10 This “push” paradigm allowed ships to passively receive information, vice having to transmit requests for it (and risk disclosing their location to adversary DF). On the day America entered WWI, President Wilson issued Executive Order (EO)-2585, which directed “radio stations within the jurisdiction of the United States as are required for Naval communications shall be taken over by the Government…and furthermore that all radio stations not necessary to the Government of the United States for Naval communications, may be closed.”15 The New York Times ran the headline “GOVERNMENT SEIZES WHOLE RADIO SYSTEM; Navy Takes Over All Wireless Plants It Needs and Closes All Others.”16 Weeks later EO-2605A went further and directed the removal “all radio apparatus” from stations not required by the Navy.17 In addition, EO-2604 titled “Censorship of Submarine Cables, Telegraph, and Telephone Lines” gave the Navy additional authority over all submarine cables and the Army authority over all telegraph and telephone lines.”18 Thereafter, the military controlled all means of telecommunication in the United States. Officials prohibited foreign ships in U.S. ports from using their wireless, sealed their transmitters, and sometimes even removed their antennae. The government shut down amateur operators altogether. Two years earlier, The Journal of Electricity, Power, and Gas opined the “Government would have a tremendous task on its hands if an attempt should be made to dismantle all privately-owned stations, as more than 100,000 of them exist.”21 Nonetheless, that is exactly what happened. The wireless actions of 1917 projected into cyber actions of 2017 would be analogous to the Navy seizing control of the Internet, passing traffic on behalf of commercial entities (for profit), censoring all email, and establishing domestic monitoring stations with deployable teams to round up hackers. The backlash would be epic. The Navy of 1917 leveraged outside experience by strategically partnering with industry and amateur organizations to recruit wireless operators. In 1915, with war looming, the Superintendent of the Naval Radio Service foresaw a dramatic increase in the requirement for radio operators. He contacted wireless companies to request that they steer their employees towards obligating themselves to Government service in the event of war – the companies enthusiastically complied. He also contacted the National Amateur Wireless Association, which shared its membership rosters. By 1916, it had chapters organized to support their local Naval Districts and helped form the Naval Communication Reserve the following year.33 Patriotic amateurs even petitioned Congress to allow them to operate as “a thousand pair of listening ears” to monitor wireless transmissions from Germany.34 Today the opposite of 1917 happens, where the Navy loses trained, experienced personnel to contractors and commercial enterprise. While the Navy creates its own cyber warriors, it should continue tapping into patriotic pools of outside talent. Deepening relationships with companies by expansion of programs like “Tours With Industry” could help attract, train, and retain cyber talent. The Navy established a variety of demanding training courses for wireless operators. One of the Navy’s earliest courses had non-trivial prerequisites (candidates had to be “electricians by trade” or have similar experience), lasted five months, and was not an introductory but rather a “post-graduate” course.35 Later, a growing Fleet and requirements for trained radiomen necessitated multi-level training. 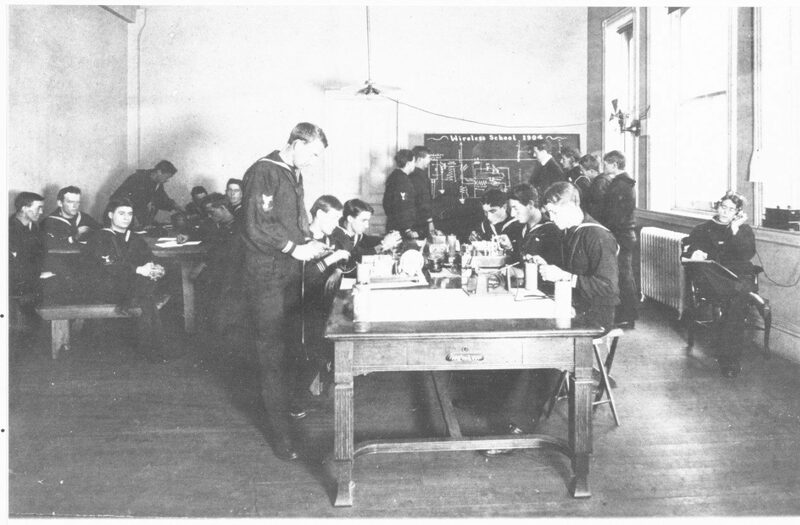 The Navy established radio schools in each Naval District to provide preliminary training and screen candidates for additional service. In 1917, it established a training program at Harvard. These programs provided the Navy over 100 radio operators per week in 1917 and over 400 per week by 1918.36 Today’s Navy should continue expanding its portfolio of cyber training courses to more fully leverage academia’s facilities and expertise. During the war, the Navy looked past cultural differences (and indiscretions) when drawing personnel from non-traditional backgrounds. The “wireless detective” described rogue wireless operators as “being of a perverse turn of mind,”37 and “a reckless lot – at times criminally mischievous.”38 However, the Navy leveraged these tendencies and employed former amateurs “who were familiar with the various tricks anyone might resort to in order to keep their receiving station open” to hunt secret wireless apparatus.39 Today’s cyber talent pool may not look or act like traditional recruits; however, they possess skills, experience, and mindsets critical to innovation. The Navy should weigh traditionally disqualifying enlistment criteria against talent, capability, and insight into adversarial tactics. The Navy of 1917 offered flexible career paths to recruit skilled operators. 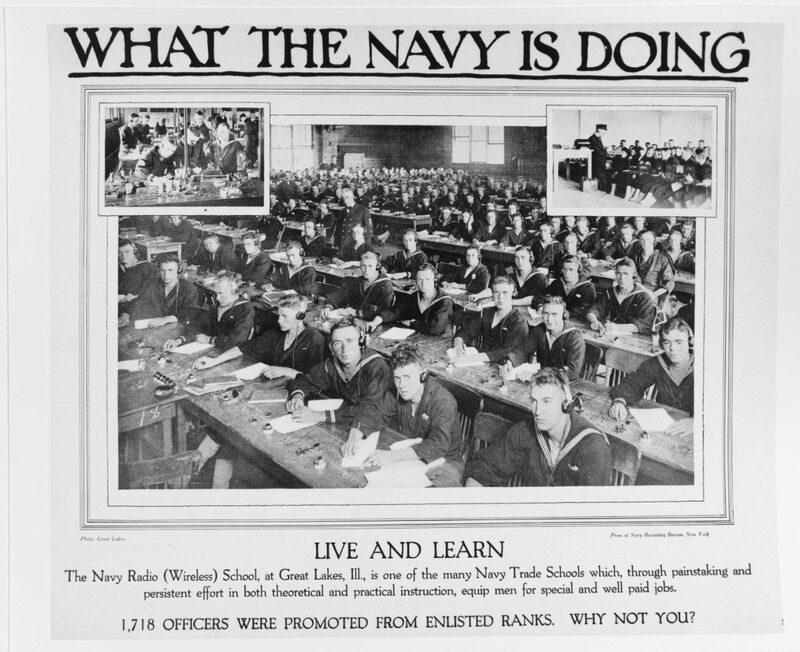 Membership in the Naval Communication Reserve only required citizenship, ability to send/receive ten words per minute, and passing a physical exam.40 New members received a retainer fee until they qualified as “regular Naval radio operators” when their salary increased. 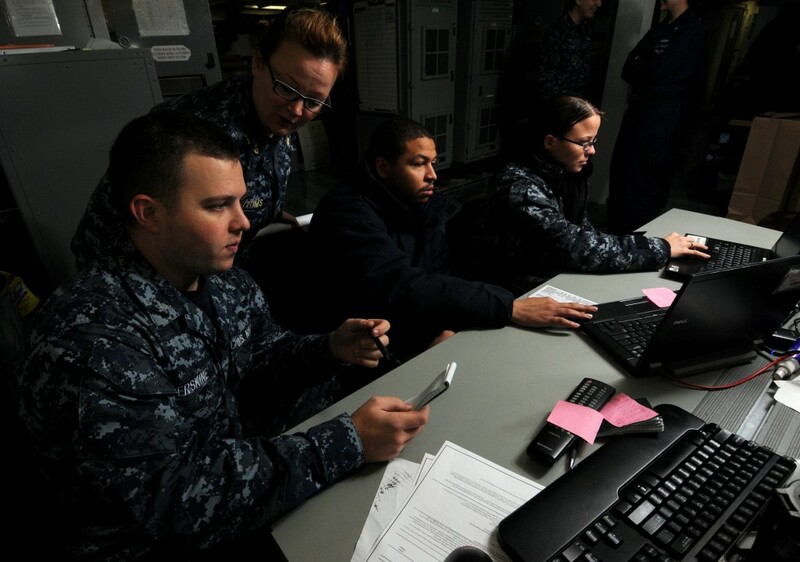 There was no active duty requirement (except during war) and a member could request a discharge at any time.41 Today’s Navy should continue expanding flexible career paths allowing skilled cyber professionals to enter and exit active duty laterally (vice entering at the bottom and advancing traditionally). There are several parallels between the advent of “wireless” warfare last century and today’s cyber warfare. In modern warfare, cyber capabilities are potential game changers, but many questions remain unanswered on how to best recruit, employ, and integrate cyber warriors into naval operations. Like wireless in 1917, it is easy to become focused on the technical aspects of a new capability and new domain. However, to fully wield cyber capabilities, the Navy needs to focus on the people and not the technology. Featured Image: Soviet tracking ship Kosmonavt Yuri Gagarin.